Taking my eye make-up off is very difficult for me, as my eyes are very sensitive. I tried many eye removers but none of them seem to be perfect. 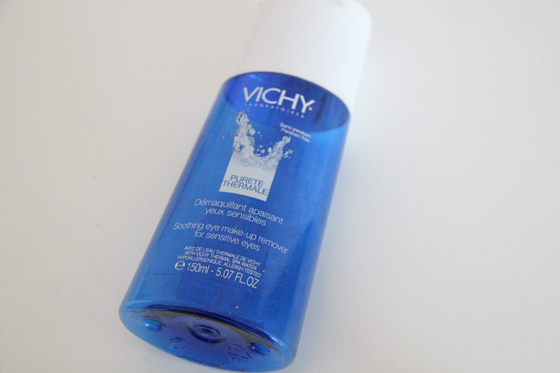 I liked (managed to finish it) the Vichy Purete Thermal sensitive eyes make-up remover, but I didn't feel like it actually had removed my eye make-up fully. I normally remove my eye make-up first and then I wash my face with face gel/soap. As soon as I splash my face with water, to remove the face wash product, I'm still left with panda eyes. I tried many ways of using this products e.g adding more, keeping the pad longer on my eye, but nothing seem to work. This may be because it's not oil based. So you will need to spend more time on your eyes. 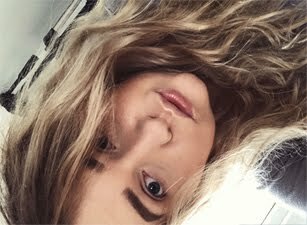 I don't really mind that, as I like removing my make-up and I'm not really bothered about how much tome I spend on removing it. Overall the smell is really nice, and is super gentle for the eye. Most of the things that work for others, just don't work for me. It's also contact lenses friendly (I do wear contact lenses). This also have the same pH as your tears so that is very good for your eyes. I worth trying it if you have very sensitive eyes, it may work for you. 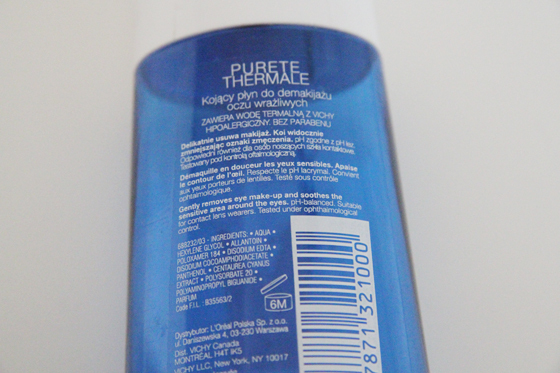 The L'Oreal eye make-up remover is really good, my Mum and I love it, but is not as gentle as the Vichy one. Have any of you tried it?